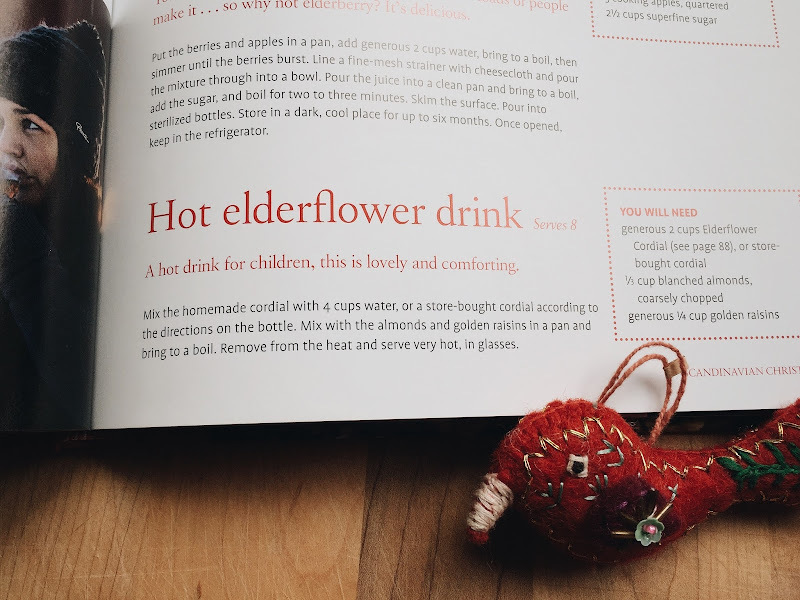 Friends who read this blog regularly know that I'm just a tiny obsessed with all things Scandi. So when I got this book at an after Christmas sale last holiday season, it was a happy day indeed. Let's peek further, shall we? 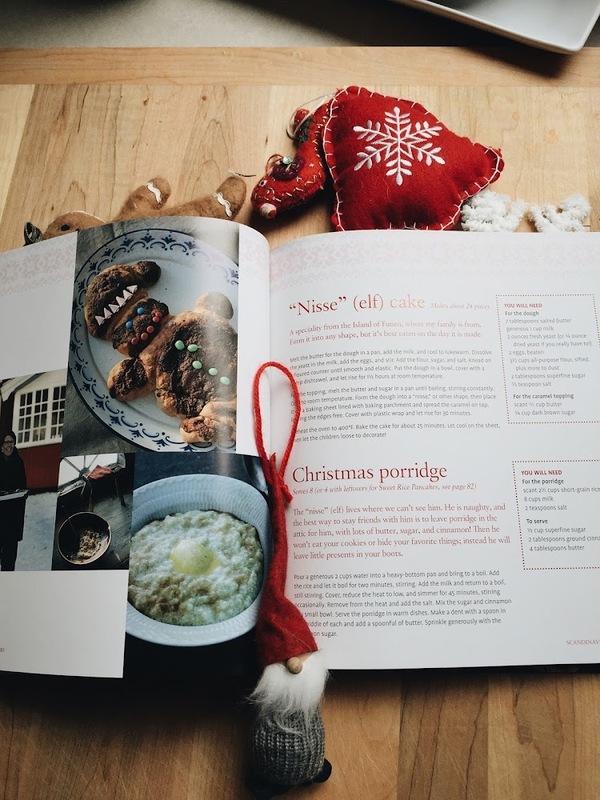 The book is divided into charming sections - Christmas Baking, Gifts from the Kitchen (hey! 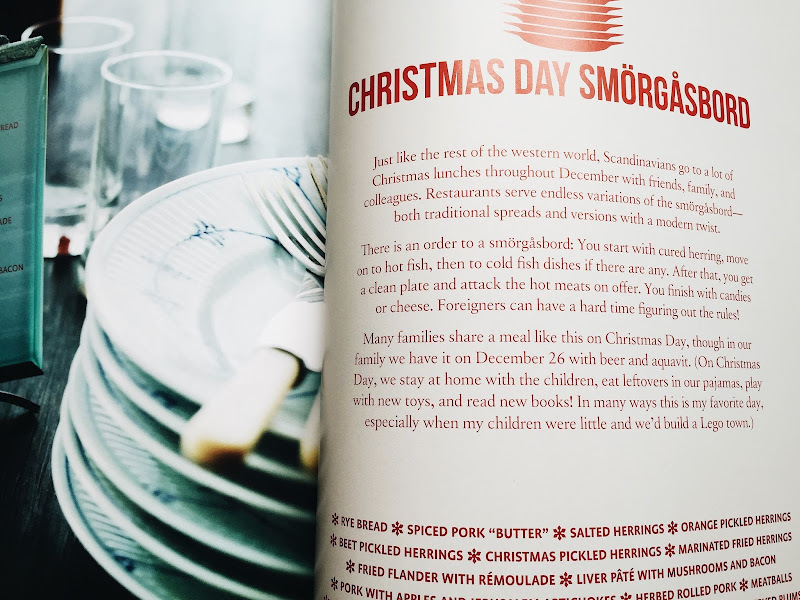 ), Advent: A Whole Month of Christmas, Christmas Party, The Christmas Feast and Christmas Day Smorgasbord. I LOVE the baking chapter and all the info about Advent because I love love love Advent - one year we had three or maybe four Advent calendars going at the same time and I realized that I had maybe gone a wee bit TOO FAR with my Advent love. 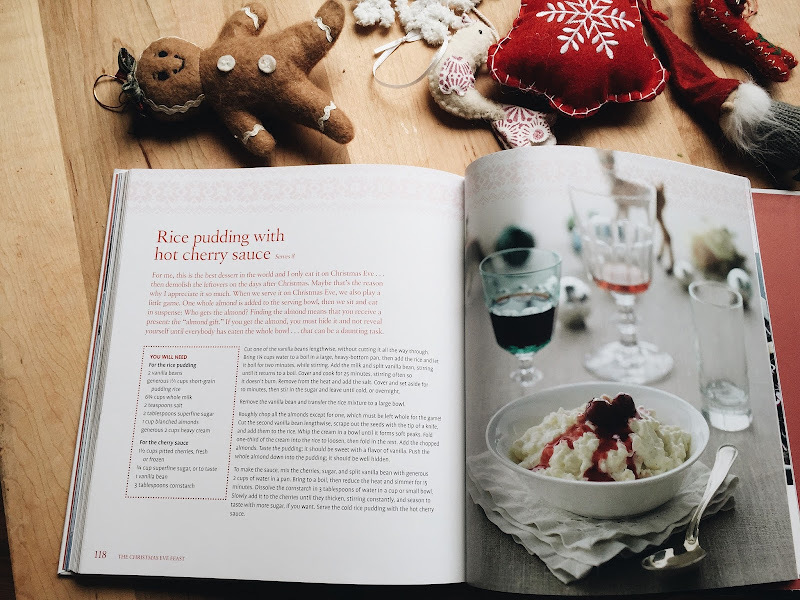 Look at the picture, do you see the Christmas Porridge? I am SO making that. 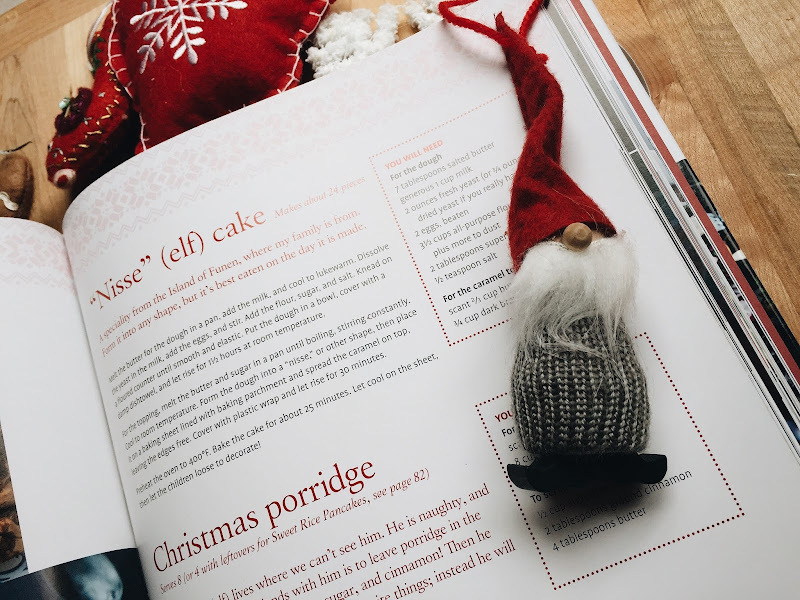 Do you see the "Nisse" (elf) cake? Do you know the Scandinavian tradition involving house elves who leave gifts and protect the home, if they are properly fed with OATMEAL? Did you know that oatmeal is one of my favorite foods in the whole world? Not sure if you knew that. I love love love oatmeal. I'm constantly trying to feed it to my family, and no one loves it as much as I do. I would even go so far as to say that my husband has a downright disdain for oatmeal. 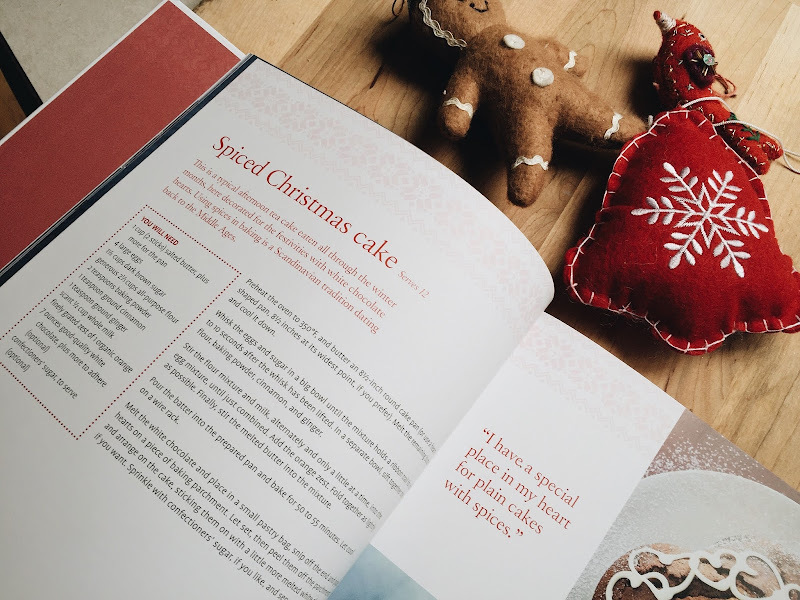 I love the idea of celebrating Christmas as a month long celebration - all of December filled with the making of treats and decorating and lighting candles and good smells and the notion of doing something 'hygge' ( it basically means COZY!) everyday. 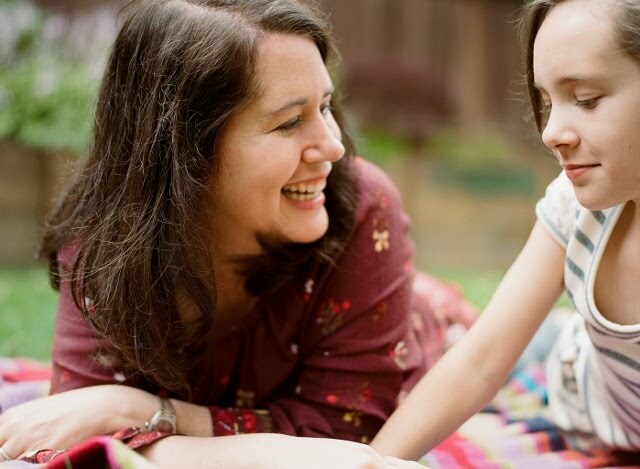 I think when I was young, it was just mostly about Christmas day in our house. I like that feeling of excitement to be stretched out all month long, and I think the Scandinavians understand that fully. December 1 and we hit the ground running. 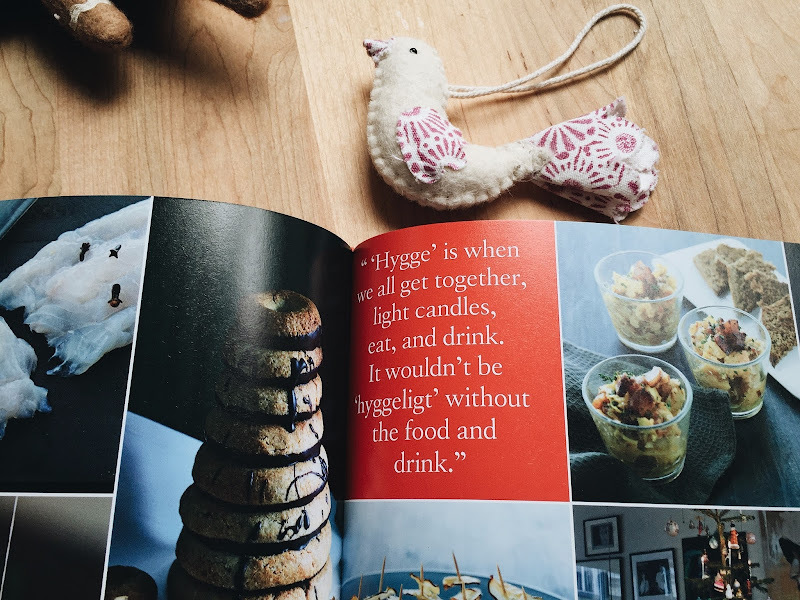 The only thing that keeps this book from being Mary Poppins-practically-perfect-in-every-way is I wish there would have been a craft section (I'm interested to see if my library has this book) - whereas this beauty is all about the food. WHICH IS FINE. I can't wait to make Honey Layer Cake with Orange Mousse and Spiced Christmas Cake and Frosted Almond Heart cookies. Are you thinking about the holidays yet? Do you leave porridge out for house elves? Is the temperature in the 90's where you live? Even if it is, it's never too early to think about Christmas! Say it loud and proud. Oh, goodness, I have wanted this book for so long! My library doesn't have it, or the craft one you mentioned. 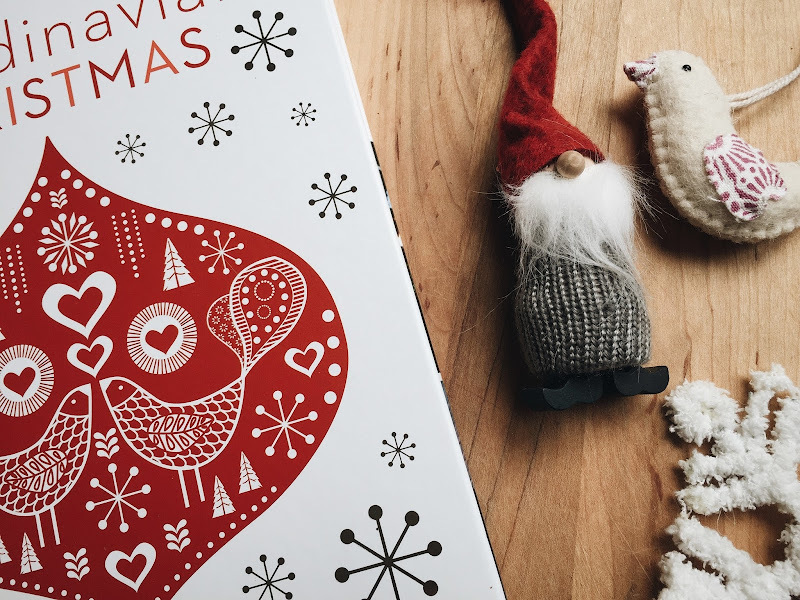 It had this one: https://www.amazon.com/Swedish-Christmas-Crafts-Helene-Lundberg/dp/1626361312/ which is very nice, but I want more! I want winter so much. We barely got one this year. We had more snow on Easter Sunday than we got all of our actual season. Funny, I was born in August, and I HATE summer and heat. And it gets worse the older I get, I swear. I really don't need to be hot ever, I'm convinced. I live for fall! 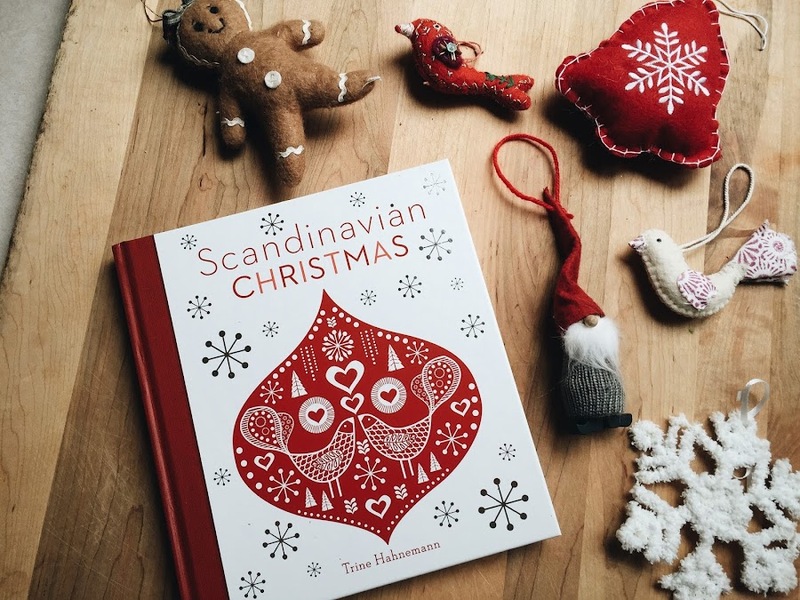 I'll check out that other book, Swedish Christmas Crafts! FUN! I don't even know what they do for crafts, but I want to find out! Fantastic. 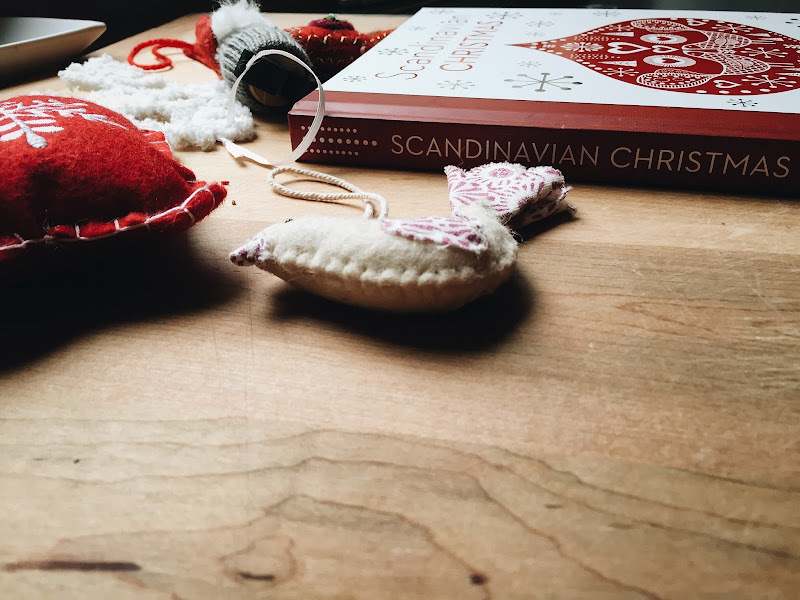 This post has me wanting to get back to my ornament making.